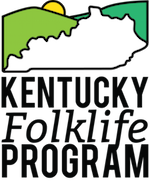 As part of the Kentucky Folklife Program’s on-going oral history project, the Kentucky Folklife Program is proud to present A Culture Carried: Bosnians in Bowling Green (Kulturno naslijeđe Bosanci u Bowling Green-u). Opening on September 29, 2017 at the Kentucky Museum, the exhibit is a partnership with the Bowling Green Bosnia Oral History Project, Kentucky Museum, WKU Department of Folk Studies & Anthropology. Keep tuned for more information! For more information on the exhibit, visit the exhibit page. For more information on the Bosnia Oral History Project, click here.